Were you were outside today, barbecuing hot dogs in the sweltering heat, and thinking, “Gee, I wonder where I can get some Nintendo-themed frozen yogurt?” If that’s the case, have I got some fantastic news for you. Yogurtland is teaming up with Nintendo to offer yogurts based on the characters from the Mario franchise. 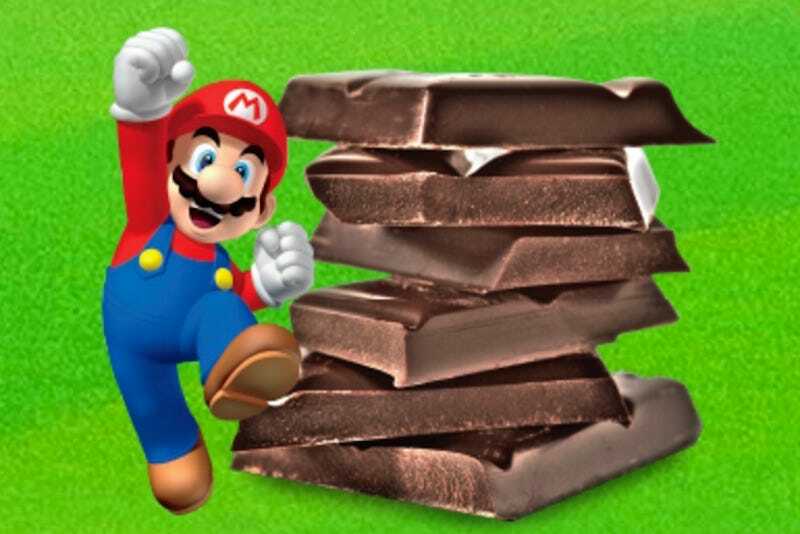 So far, they’ve released two flavors: Mario’s Chocolate Gelato (which, thematically, doesn’t make much sense) and Bowser’s Dragon Berry Tart (which is awesome and thematically makes a whole lot of sense). Check out the description. Tasty and pun-tastic. I was ready to call BS on the “real dragon fruit,” but I went to the ingredients page to read the fine print, and I found confirmation. Well. You’ve got to give them credit. Here, in ranked order from least to most delectable sounding, are the remaining flavors that will be released over the next two months. Sorry Yoshi. It’s nothing personal, but your fruit of choice makes my throat close up. I guess the marshmallows are supposed to remind us of his mushroom cap? This is obviously delicious, but points off for lack of originality. I’m not really sure what this is, but I’m intrigued. I have a 20-month-old son who’s teething. I could use three or four of these right now. This promotion will run from July 1 to September 8. Next, Yogurtland should team up with the Zelda franchise. We can have Water of Life Watermelon, and Triforce Neapolitan. You’re welcome, Yogurtland. Make it happen.